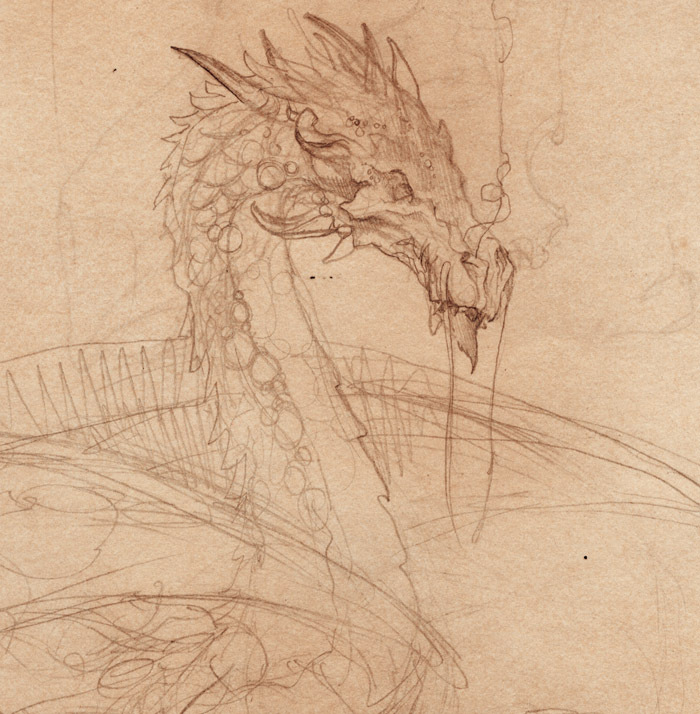 I have always loved dragons. And I have always loved dinosaurs. But dragons are not dinosaurs. 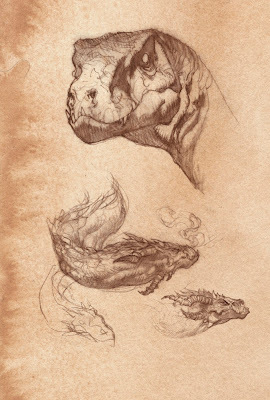 While I love studying the creatures of this world for clues on how to make a fantastic creature feel like they could exist in it, I think that by making dinosaurs and dragons altogether interchangeable in our work, we are giving up on all the possibilities which each contains individually and for which they have been historically used in fantasy. Children expect the differences they feel but cannot analyse to be explained by their elders, or at least recognized, not to be ignored or denied. I was keenly alive to the beauty of “Real things,” but it seemed to me quibbling to confuse this with the wonder of “Other things.” I was eager to study Nature, actually more eager than I was to read most fairy- stories; but I did not want to be quibbled into Science and cheated out of Faerie by people who seemed to assume that by some kind of original sin I should prefer fairy-tales, but according to some kind of new religion I ought to be induced to like science. Nature is no doubt a life-study, or a study for eternity (for those so gifted); but there is a part of man which is not “Nature,” and which therefore is not obliged to study it, and is, in fact, wholly unsatisfied by it. 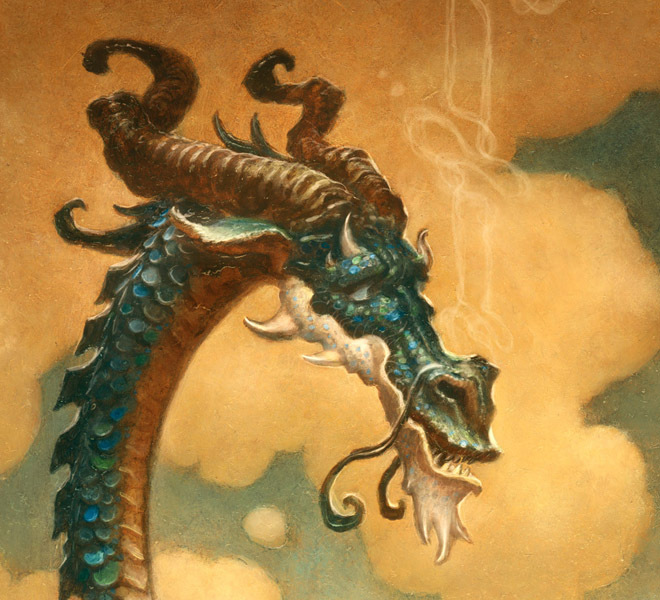 In John Gardner's Grendel, the Dragon is even more a philosophical threat over a physical one. The dragon reveals a set of philosophical beliefs to Grendel, and it is these that Grendel wrestles with, and is ultimately overcome by. This leads him to choose to become, and even embrace his position as, the villain in the Shaper's story. The dragon in Grendel personifies a deeply nihilistic view of the world: his final arguments about the purpose of life being that all human values are baseless and that everything we do will be made irrelevant. His best advice to Grendel is to "seek out gold and sit on it." As nothing really matters anyway. 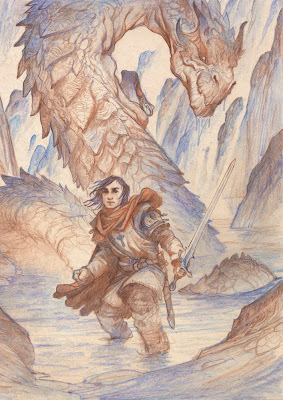 Gardner uses the imagery and the archetype of the dragon to convey how coldly-calcuating, threatening and dangerous the idea is, and this is belief is ultimately played out through Grendel's own final meeting with Beowulf. This type of symbolism in dragons offers something far more than a struggle of man vs. nature. It does what fantasy does best, it offers physical examples of man's internal struggles. And offers us a wealth of other conflicts, both external and internal. If we agree that dragons in fantasy should be something more than just animals, that they have an intelligence equal to or greater than humans, then we should seek to imbue them with an equal amount of human personality. So consider your dragons. What is really inside them and how can you show it on the outside? Some great insights. I'm really enjoying your drawings. Thanks so much for sharing them. I appreciate you offering both the Tolkien excerpt, which I'd never read, and your own impressions of the Gardner version of Grendel. Reading and thinking in the morning--before jumping into the work--always makes the process richer. (And as always, really like your art.) Thanks. I wonder if you've read "The Stolen Child" by Keith Donahue. It's based on the poem of the same name. It takes the idea of faerie and changlings and gives it life beyond the vague and takes it into, what could, be the life of any person living a day to day existence, but still embodies them with such fantasy and folklore. Your post reminded me of that book. Tolkien is... well you've said it best. He wrote his fantasy characters in a way that stripped the wool off your eyes. Not in a way that you lost your amazement, but those fantastical creatures and beings become more than a barely formed unknown in the tale. I would write more, but the sentiment is clear. Inspiring post. And, as always, fantastic artwork. I hope I will see the means to purchase your most recent sketchbook. 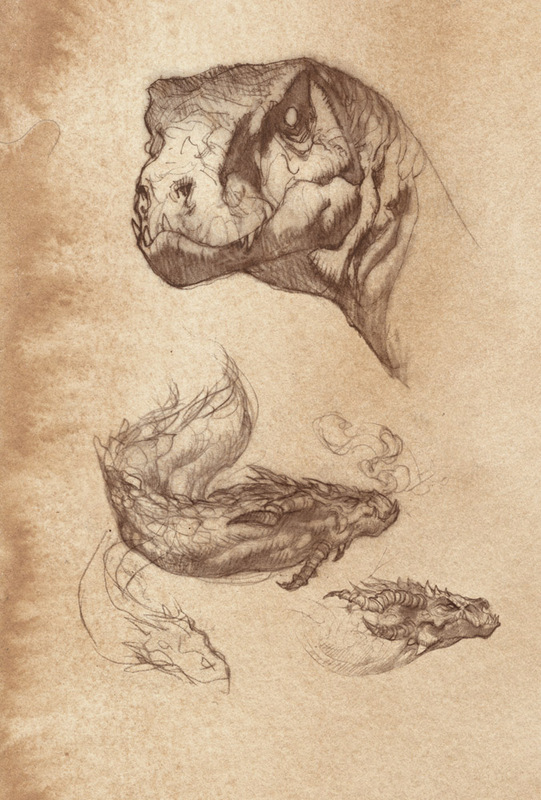 "So consider your dragons. What is really inside them and how can you show it on the outside?" I really like how you put it ! So true :]. Man, been a follower of your work for a long time now. I freaking love your sketchs man. Congrats! Just found your blog through the Hall of Beorn on WordPress. I love your Tolkien art and this thoughtful post about dragons' role in fantasy. Thanks!